Even for the most seasoned of heel-wearers, uneven roads, drain covers, and even your own body weight becomes an enemy, threatening to give you blisters and very, very sore feet. However, heels are more or less a necessary evil – especially when it comes to formal events or important meetings. This usually leads to many having a pair of pretty-but-torturous heels stowed away somewhere at a corner of their desk – most opting to just wear flats or slippers to work. I mean, just look around you when you’re on your public commute to work – how many are actually trotting around in high heels? But what if there wasn’t a need to switch between the heels? And what if there wasn’t a need to drag your feet home after a long night of partying? This was what Cherre Hermogena Eng, then 15 years old, thought. 11 years later, after experiencing this personally and listening to comments from friends, she has come up with a solution for those situations. GENA is a two-person operation – all of its operations are run by Cherre (26), while the documentation is taken care of by her boyfriend, Darren (27). Previously working in finance, Cherre graduated with a degree in Psychology, but has a diploma in Fashion Technology (Footwear Design & Product Development) – coming in very handy during the development phases of the GENA shoes. 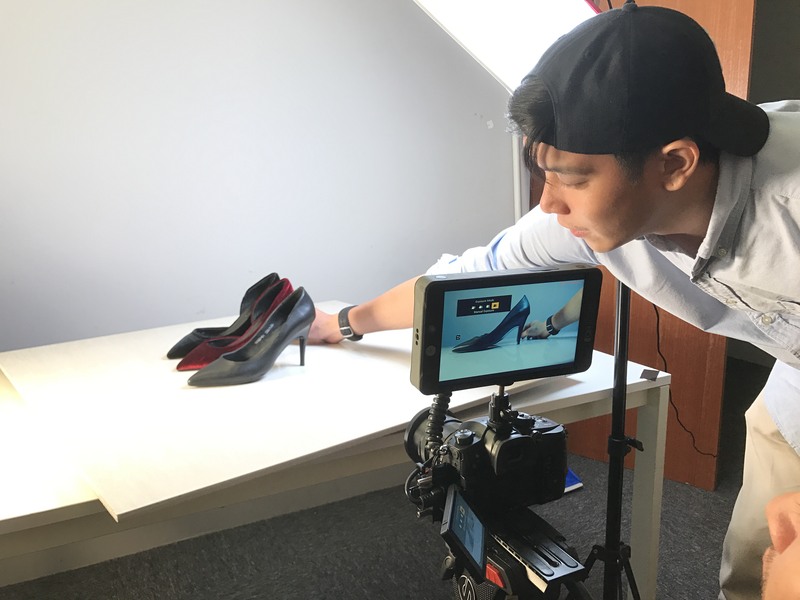 And while the idea came to her at 15, the actual implementation actually took 3 years – most of the challenges coming from finding the right materials for the shoes. Available in both pump heels and sandal heels, the shoes are made of leather and a leather insole makes them more comfortable for wearers who are always on-the-go. To date, Cherre has invested a 5-figure sum into the venture. The heel heights of 2cm and 9cm were not random decisions, either. An online poll of 10,000 females was conducted to find out the ideal heights which were the most comfortable and practical for walking. After 4 months of testing, the heels were created. One to (literally) walk the talk, Cherre herself is an avid user of the heels. But why choose to debut on Kickstarter, instead of selling it independently? For Cherre, the supportive community of backers on the platform, and also the chance to appeal to an international crowd is why they chose to take the crowdfunding route. To date, 105 Kickstarter backers have pledged $17,745 – a month before the campaign comes to an end. 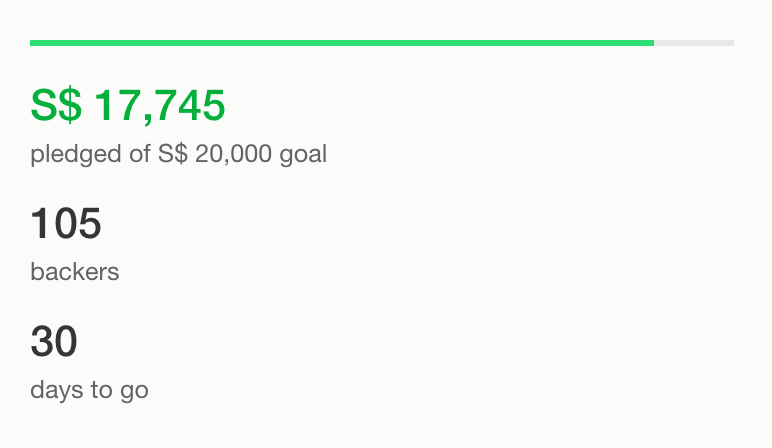 With close to 89% of the goal reached, it’s only a matter of time that the campaign is fully funded. 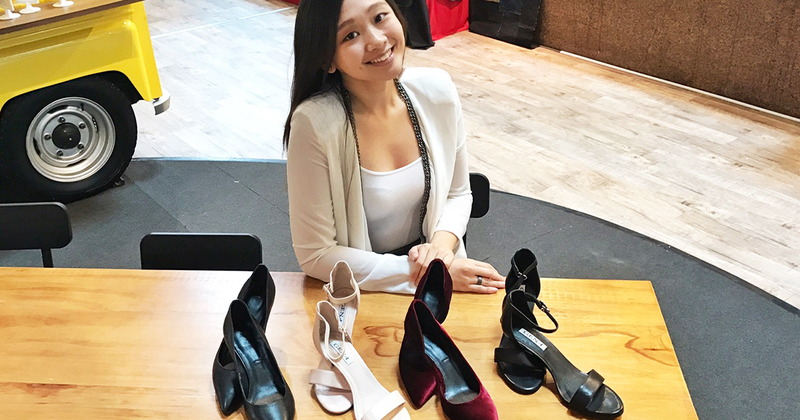 Cherre reveals her hopes that after hitting that milestone, they would be able to bring in more colour and design for customers – with their ultimate goal being to have a physical store to allow people to try out their shoes before buying them. We thank Cherre for her time, and if you’d like to check out the heels, visit the Kickstarter page here!